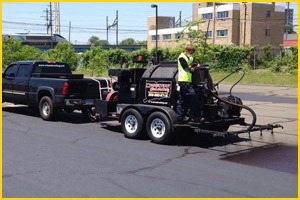 Connecticut Sealcoating is your choice for all of your asphalt and concrete needs. We offer excavation, trucking, paving, crackfill, sealcoat, line striping, and concrete solutions that will fit any budget. Our professional Crackseal and Sealcoating crews will give your parking lot or roadways the protection they need to allow them to last as long as possible. We will work with you to schedule the work to be as minimally invasive to you and your business or residents. Using the highest quality materials coupled with our highly trained employees we can come up with a long term plan of action to protect your asphalt surfaces. 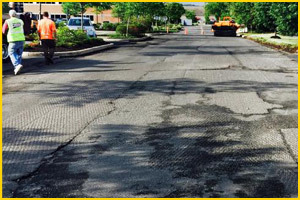 If you are in need of asphalt patching, complete repaving, additional parking areas, or asphalt milling, we can handle your needs in house without the use of subcontractors. The fact that we own and operate all this equipment ourselves allows us to give you unsurpassed quality control and we often can save you money and aggravation by only dealing with one contractor. 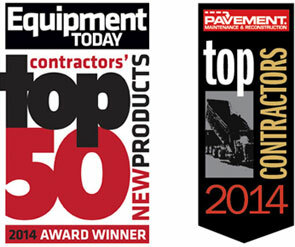 Our concrete division consists of highly trained craftsman. 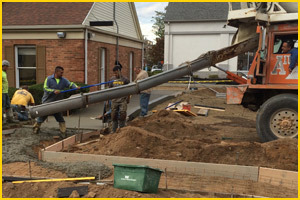 We can install ADA ramps, loading pads, and sidewalks both broom and stamped finish. Our crews can also repair trip hazards, and cracking or damaged concrete both inside and outside of your building. We offer many cost saving ideas to costly concrete replacement. 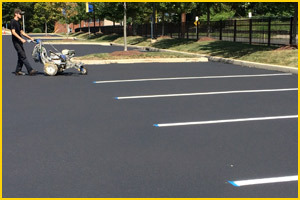 Connecticut Sealcoating’s Line Striping crews will apply the finishing touch to your parking lot by applying a fresh coat of paint to your parking spaces. We have the ability to paint arrows, fire lanes, ADA compliant handicap parking spaces, and crosswalks etc. Not only will line striping provide curb appeal, but it also will provide safety to everyone that visits your property.